Dave Syfczak, Uptown native, caretaker of its historic Uptown Theatre, and a Chicago police officer, sees the possibilities for the North Side neighborhood's entertainment future in its past. “If you go back to the early days of Uptown, this area was generally about entertainment,” Syfczak said. 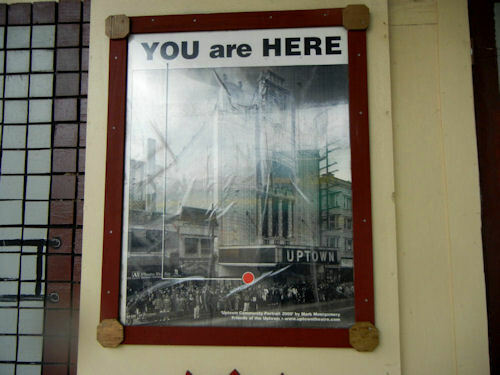 “Back in the ‘teens and ‘20s, Uptown was a port of entry for people coming to the city. You look around; the local architecture reflects that. While Uptown has suffered a poor reputation for several years, creation of an entertainment district in the community could bring development, from the boost of job creation to increased tourism and business investment. With summer music festivals and concerts approaching, Chicago is ready to host fans from across the nation. As one of Chicago’s 77 neighborhoods, Uptown could establish itself as a year-round hotspot for music lovers. Mayor Rahm Emanuel wants to highlight the eclectic neighborhood – one of seven “Opportunity Planning Areas” he identified in March – with the creation of an Uptown music district, an entertainment-focused zone akin to the Loop’s Theatre District. Uptown is already home to several well-known and historic establishments, from the Aragon Entertainment Center, more traditionally known as the Aragon Ballroom, and Riviera Theatre, which host dozens of concerts a year, to the shuttered Uptown Theatre. The community is also home to the Wavefront Music Festival, a celebration of electronic dance music set to kick off its second year in June. One major step would be the restoration of the Uptown Theatre, which has been closed for business since 1981. 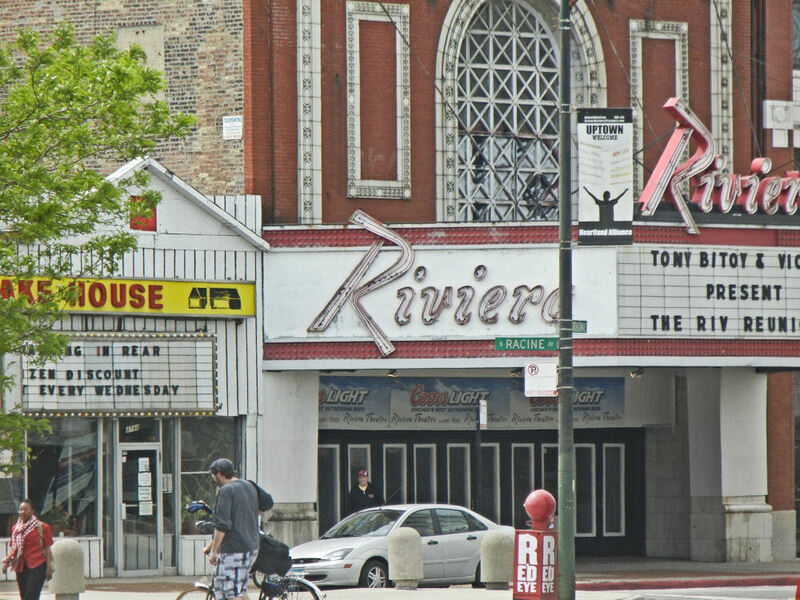 The former movie palace was purchased in 2008 by Jam Productions, which also owns the Riviera. Syfczak said local music institutions have not weighed in yet as work is still in the planning stages. The cost of remodeling the Uptown Theatre would be $63 million, according to Ald. James Cappleman (46th). “I actually support using tip money or city funds with the collaboration with Jam because creating that type of business will create tax revenues for the city,” Roberts said. However, organizations like the Theatre Historical Society of America (THS), of which Syfczak is a board member, may help cut the costs of the remodel due to their mission. Archive Director Kathy McLeister said THS exists to encourage the preservation and use of historic American theaters. One point of contention surrounding the talks is concern over the city’s interest in supporting music as an industry. Music critics such as Jim DeRogatis of Sound Opinions have cited the city’s failure to establish a central music office similar to the Chicago Film Office that serves to attract Hollywood productions. But more concern has been raised over the question of Uptown’s safety as a business and cultural destination. Although the community is not among Chicago’s most violent, gang incidents and robberies have been an issue in pockets of the area in recent years. However, according to the Chicago Tribune, crime reports in Uptown between April 25 and May 25 were down from the same period last year. Violent crimes are down 30 percent, while property and quality-of-life crimes have declined by 40 percent. Both Roberts and Syfczak believe that increased business in the area would improve its image. Roberts said he is encouraged by Cappleman’s efforts. Since taking office in 2011, Cappleman has led a charge to establish Uptown as an area of growth, with more than $100 million in public funds already secured to support private developments. A planned $203 million reconstruction of the Wilson Red Line Station may also foster additional growth in Uptown. The CTA plans to submit a contractor to its board for final approval in August, and a “notice to proceed” with the three-year project could be issued in September, according to DNAinfo Chicago. Syfczak said public transportation is abundant in the area, which would help with drawing crowds to the venues without creating traffic congestion. The Lawrence Red Line El stop is located across the street from the Aragon, in the heart of the community’s existing entertainment zone, which includes The Green Mill lounge. The neighborhood is also bound by the Argyle Red Line stop to the north. Will the Uptown Theatre make a comeback?